A 69 M presents with episodes of presyncope. 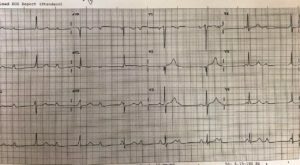 The first ECG is done and handed to you. You have a quick look and mutter something about 2nd degree AV Block at 2:1 and wander off to the trauma code. 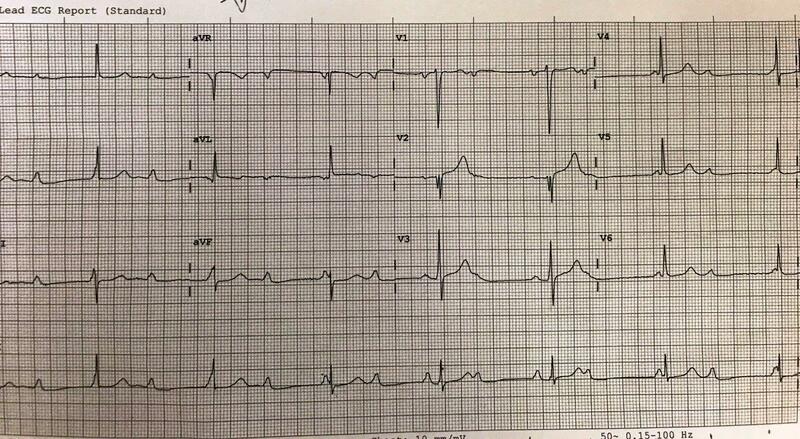 You can get doubts about 3rd degree AVB when the p wave rate is close to the same as, or a multiple of, the QRS rate. Always looking at a bit of a longer rhythm strip will help!